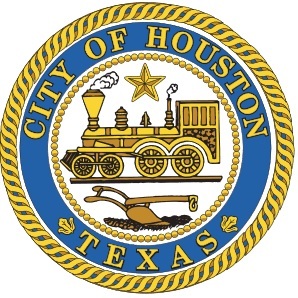 With last week’s flooding still fresh in the minds of Houstonians, Mayor Sylvester Turner announced that the City of Houston is stepping in to provide the funds needed to help expedite long-awaited flood relief projects along Brays, Hunting and White Oak Bayous. The move, which relies on unprecedented cooperation by numerous governmental agencies, will end the delays that have prevented the Harris County Flood Control District from proceeding with planned improvements in these watersheds. Because it has already received federal approval, Project Brays is the first in line for the improvements. The White Oak and Hunting Bayou projects will follow, pending Congressional authorization. Upon receipt of that authorization, the City and Flood Control District will pursue separate agreements similar to the Brays Bayou project. The total estimated cost of all three projects is $130 million. In a separate and unrelated move, the City is also studying potential improvements to Keegans Bayou, a Brays Bayou tributary, which exceeded its banks during last week’s heavy rain. The analysis will look at options for creating additional detention and improving channel flow. “These projects will greatly reduce the flood threat for residents along these bayous and remove hundreds of properties out of the 100 year flood plain. I want to thank the multiple governmental entities that have come to the table to make this happen. The level of cooperation is unprecedented and a sign of just how committed everyone is to solving our flooding issues,” said Mayor Turner. On Wednesday, Jan. 25, City Council will consider a loan application to the Texas Water Development Board for the Brays Bayou improvements. Upon approval of the loan by the state, the city will in turn advance $43 million to the flood control district to help pay for bridge replacements and extensions and channel widening in the Brays watershed. The $43 million is equivalent to the amount the flood control district expects to receive from the federal government once the projects are completed. The city will be paid back as projects are completed and the flood control district is reimbursed by the federal government. The announcement comes just two weeks after Mayor Turner unveiled a Storm Water Action Team, or SWAT, to reduce drainage problems that are not directly attributed to overflow from the bayous that are under the control of the Harris County Flood Control District. Approximately 100 deferred maintenance projects spread throughout the city have been initially identified for inclusion in the SWAT program. An initial round of funding of $10 million has been approved so that work can begin on 22 of these projects, two in each City Council district. The work encompasses everything from replacing sewer inlets and grates to regrading ditches and resizing culverts to minor erosion repairs and regular mowing. “I applaud the important step taken by City officials to address Houston’s recurring flood problem. The completion of Brays Bayou and others like it are examples of proactive solutions that reduce the risk of flooding and make increased safety the norm. “At the federal level, we have an obligation to do all that we can to match local efforts and reduce delays on reimbursements. To that end, I was pleased late last year with the passage of S. 612, the Water Infrastructure Improvements for the Nation Act (WIIN). The legislation prioritizes federal reimbursement and cost-sharing on flood mitigation projects like Brays and our entire bayou system. In the 114th Congress we introduced H.R. 5025, which would increase access to federal funds for flood control projects and deliver $311 million for the completion of our local bayou projects. The bill achieved more than 100 co-sponsors and we are working to reintroduce the bill in the new Congress.